Looking to sell a Mitsubishi digger or excavator? Do you have a Mitsubishi for sale? 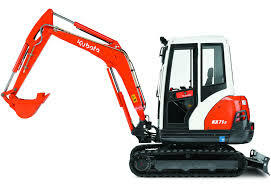 Do you have a Mitsubishi digger or excavator for sale? 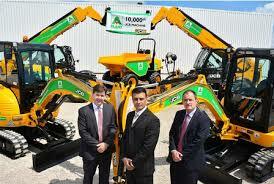 Are you looking to sell your Mitsubishi digger or excavator? Then come and speak to us at Sell My Digger, as we turn your unwanted machinery into cash which you can then invest in your business. Mitsubishi first started out by taking a lease of the Government owned Nagasaki Shipyard back in 1884, and then formed into Mitsubishi Heavy Industries Ltd in the 1930s, with focus on ships, cars, planes and also heavy machinery. This is when the larger scale production of diggers, excavators, mobile diggers started to make their way across the world and provide construction firms with reliable machinery they could trust and use for thousands of working hours. If you have a Mitsubishi digger or excavator which you no longer have use for, then get in touch with Sell My Digger to turn it into cash that you can put towards something which better meets your business needs. Simply use our form on the website to tell us a bit about your machinery, and include some photographs if you can. Once you’ve submitted the form, our team will review your information and contact you as soon as possible with a cash quote for your digger. It really is as simple as that, plus we can come and collect your digger from wherever it’s based as we cater to the whole of the UK market.